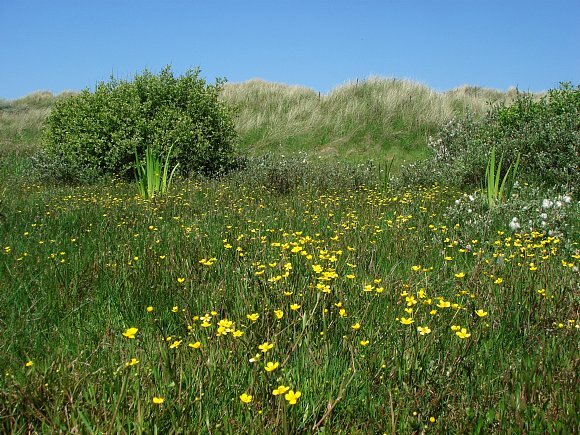 In a shallow wet area with Yellow Flag and Creeping Willow. Just over a foot tall. But can also be prostrate. 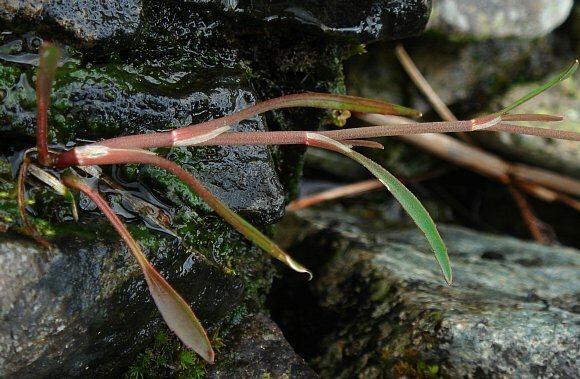 The leaves are narrow lanceolate or linear. 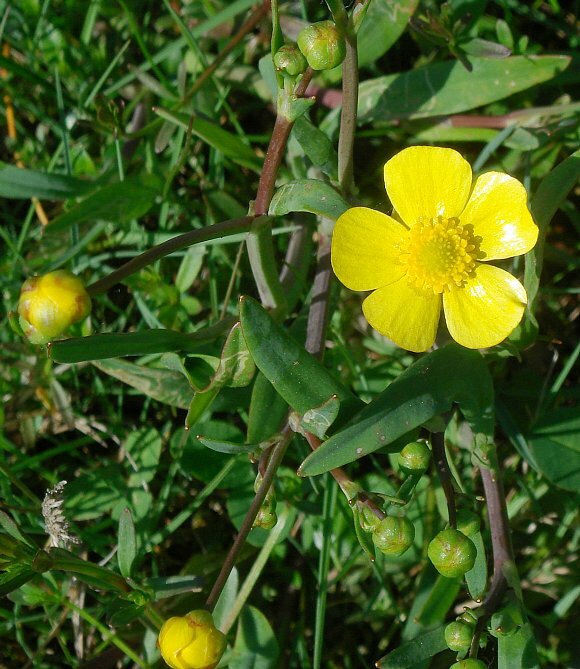 The flowers yellow with five shiny petals, buttercup-like. 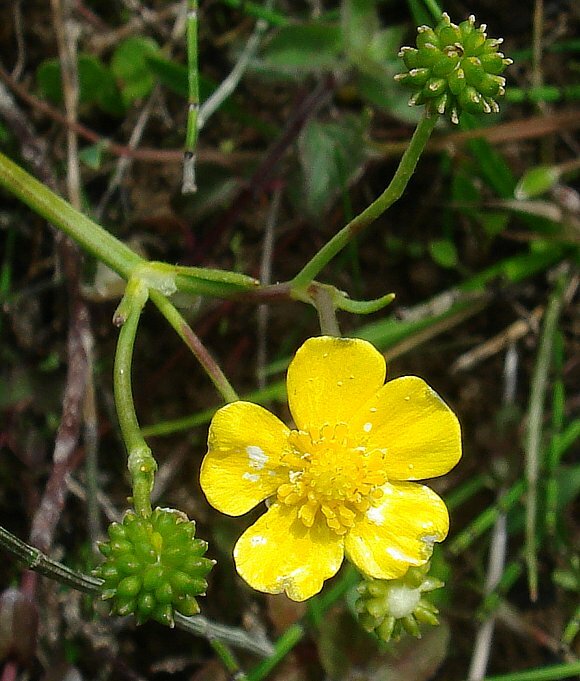 With several flowers, then fruits, on each stem. 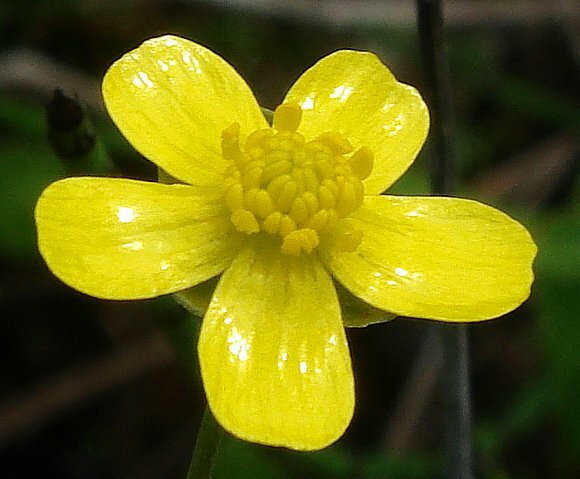 The fruits typical of buttercups. Likes to sit in still or slow-moving shallow water. 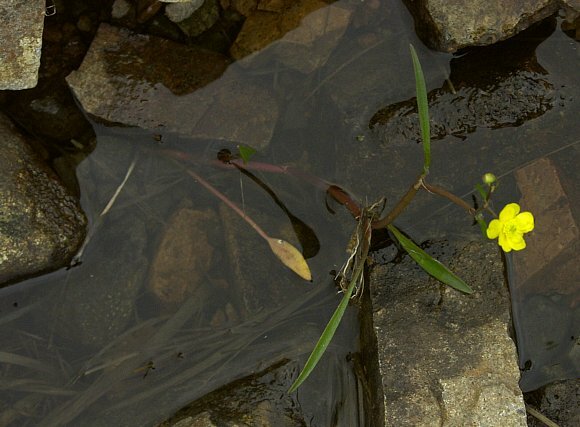 Easily confused with : Two other sub-species of Lesser Spearwort, namely ssp. minimus and ssp. scoticus, but the former is found only in the northernmost reaches of Scotland, and the latter also in some of the Western Scottish Isles. 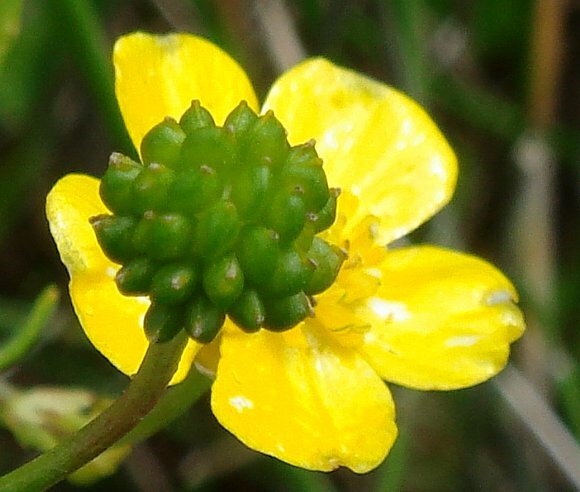 Hybridizes with : the much rarer Creeping Spearwort , Ranunculs Reptans, which itself is not to be confused with the ubiquitous Creeping Buttercup (Ranunculus Repens). 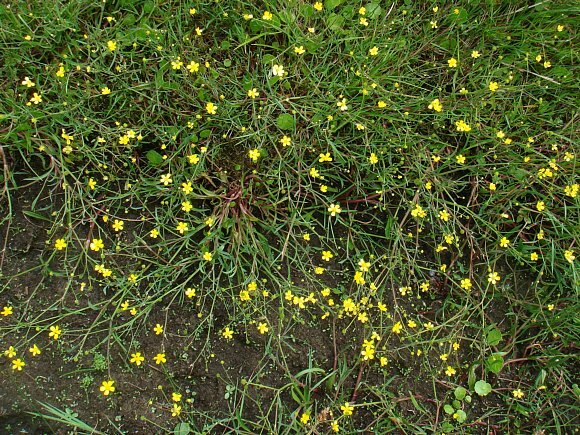 Some similarities to : Greater Spearwort, but that is much taller, never prostrate, and with correspondingly larger flowers. 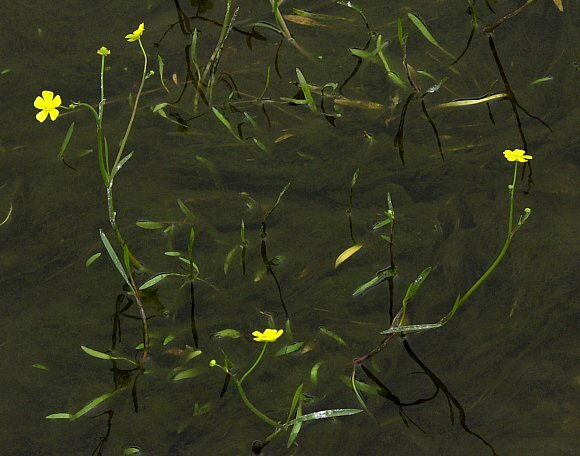 Distinguishing Feature : Stands in shallow water with Buttercup-like flowers. 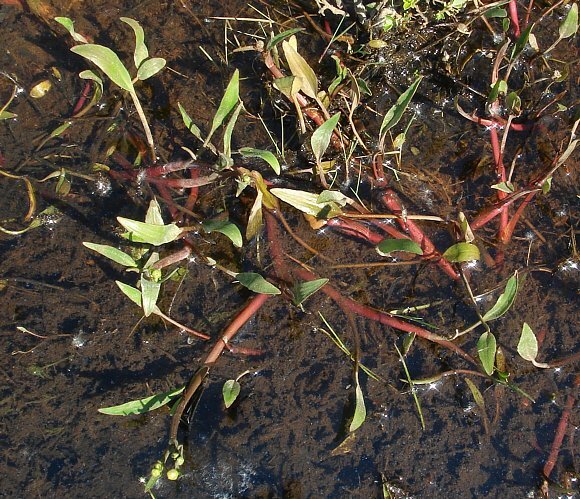 No relation to : Spear Mint [a plant of similar name]. 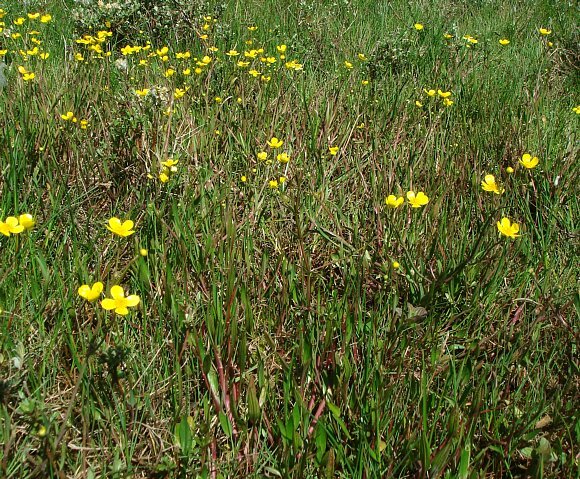 Lesser Spearwort is a member of the Buttercup family.